Wood siding is a common siding material, especially on older, or more rustic style homes. If you want to change the color of your wood siding it can easily be painted giving your home a fresh, new appearance and many more years of protection for your wood siding against moisture damage, rot, and insects. Signature Painting Company is one of the best rated exterior painting contractors serving the St. Louis, Missouri metro area. We specialize in painting or staining all types of traditional wood siding. Since starting the business in 2001 we’ve painted the exteriors of hundreds of wood sided homes so you can be confident you’re hiring a trusted professional. Painting and staining are definitely not the same, although they can both be applied to wood siding there are differences between the two. Solid color stains are very similar to regular paint as both will form a protective layer on the surface of the wood but neither paint nor stain really penetrate the wood or do anything to enhance the appearance of the wood grain. Paint and stains can come in almost any color or tint and provide thorough protection for wood siding. 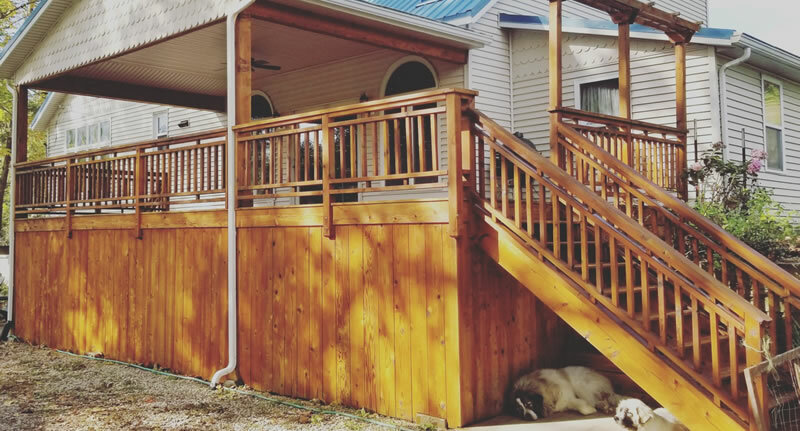 When it comes to protecting your wood siding though, stain has a slight advantage in that it has the characteristic of being able to expand and contract with your wood siding during the various seasons changing from hot to cool weather. This expansion and contraction can cause a poor paint job to crack, flake, and peel. When it comes to choosing a stain that can enhance the grain of the wood then semi-transparent stains are formulated to actually penetrate the wood. This can then color the wood fibers and work to enhance the natural character and color of the wood grain. Semi-transparent stains do not provide the same UV protection nor moisture protection as paint or stain but they are usually more affordable. If you’re looking for a definitive answer as to what you should paint your wood siding with paint or stain, it’s usually best to repaint your wood siding with the same type of product it was painted with prior. This makes the prep work much easier and will require less sanding. We’ll repair any surface defects in the wood siding such as cracks, dents, or old nail holes. We can repair or replace any broken or rotted wood siding. We want your wood siding to last so we are extremely meticulous when preparing your wood siding for paint. You’re going to be left with a smooth, professional finish that will protect your wood siding for many years. After we’re done painting or staining the wood siding on your home or building we’ll finish off with a final cleanup of our work area. We will also reinstall all of your trim and any outdoor electrical receptacles. Our entire crew takes every precaution possible to ensure we keep your home and property clean and we leave no trace of our presence other than your beautifully painted or stained wood exterior. 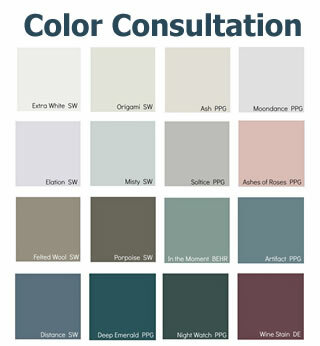 Why Choose Signature Painting Company To Paint Your Wood Siding? When you choose to hire Signature Painting Company to paint or stain your wood siding you’re partnering with a team of professional painters with decades of combined exterior painting experience. We’ve been in business since 2001 and have painted the exteriors of hundreds of wood sided homes in that time. 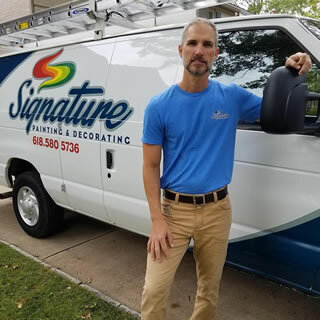 Owner (Matthew Laws) is present on every project and takes great pride in the work that Signature Painting Company completes in our customers homes. We care about your wood siding painting project and we want to make sure we do the best job we possibly can. We provide unbeatable value, we keep your home spotless, our pricing is fair, and the quality of our finished painting work is unmatched. If you’d like to schedule an estimate for painting or staining your wood siding then give us a call (618) 580-5736 or fill out our online contact form and we’ll get right back you.